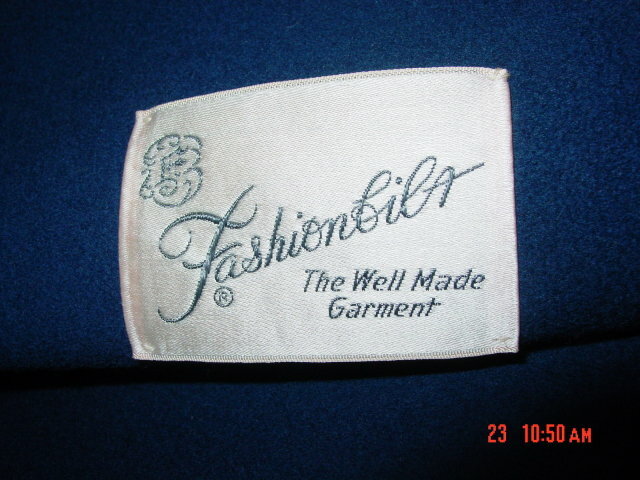 Vintage ladies navy blue wool coat with silver mink collar by Fashionbilt. Two slanted pockets in the front. Interior is lined with royal purple satin. 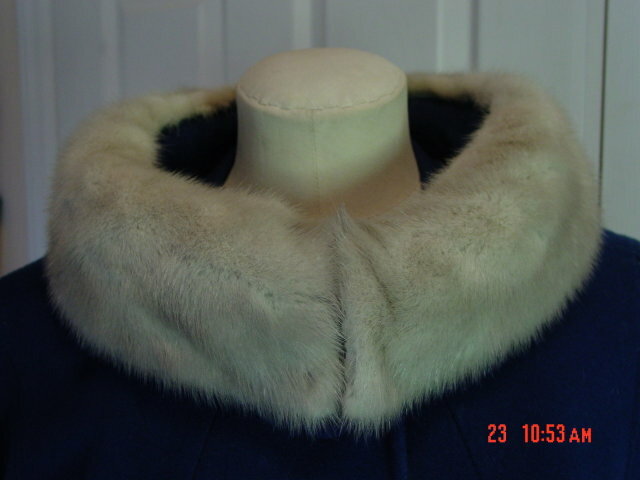 Two hook and eyes hold the mink collar together. Size 12-14. 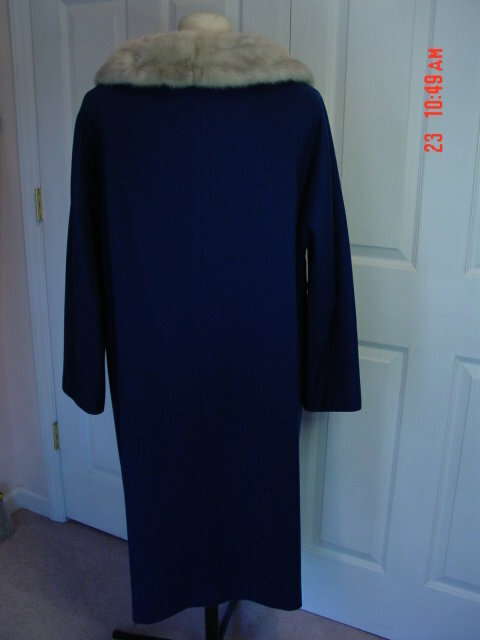 Measurements: length 42", bust 47", sleeve 23". Excellent condition. 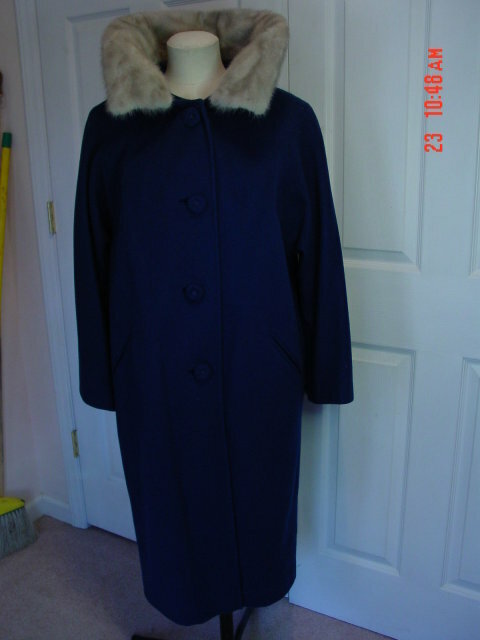 Items Similar To "Vintage Fashionbilt Ladies Navy Blue Wool Coat with Silver Mink C..."